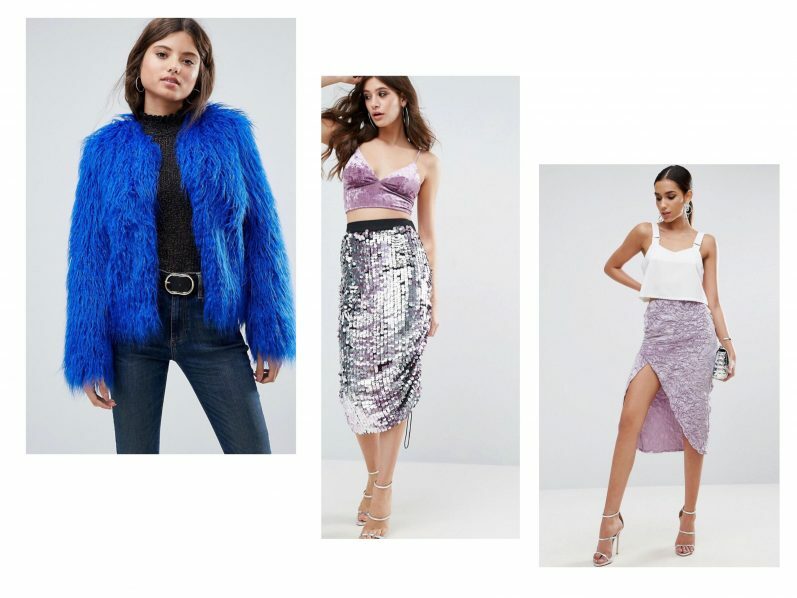 Fashion doesn’t stop for a minute so while you’re enjoying the heat, we look at what’s hot for AW18/19 from ASOS, Boohoo and River Island, via our app. Familiarize yourself with the New Academic trend. You can prep your autumn wardrobe from this month onwards with a geek chic vibe. So what’s new? 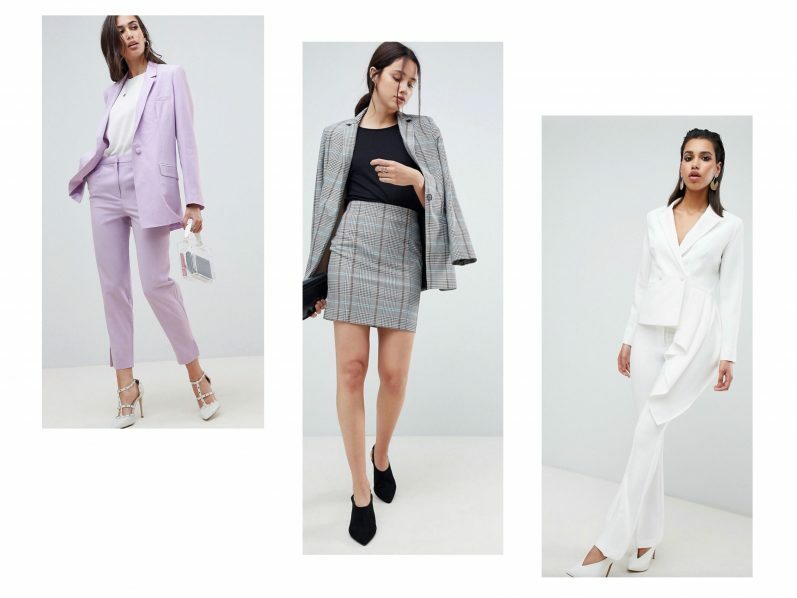 Look to traditional retro checks, patterned knits and corduroy suits as staples, now with jarring brights and pops of neon to breathe youthful energy into the theme. Forget the rules and embrace clashing prints, throwing on glitzy accessories for extra chutzpah. Partywear looks are also showy in the Urban Glam collection. Hi-lo styling lives on and clothes to go out in take on an urban spin. Denim separates and jersey base layers in oversized proportions project cool against the amped-up glamour of ornamental earrings, rhinestone details and sequined flares. It’s the popular Rodeo Girl look, but not as you know it. Next season, the trend is refreshed with cropped and outsized trucker jackets and contrast white topstitch details. The Western aesthetic is modernized with head-to-toe denim styling. Don’t forget essentials such as studded belts, cowboy boots and neckerchiefs. To take this look past sunset, snap up snakeskin flares or studded PU dresses. 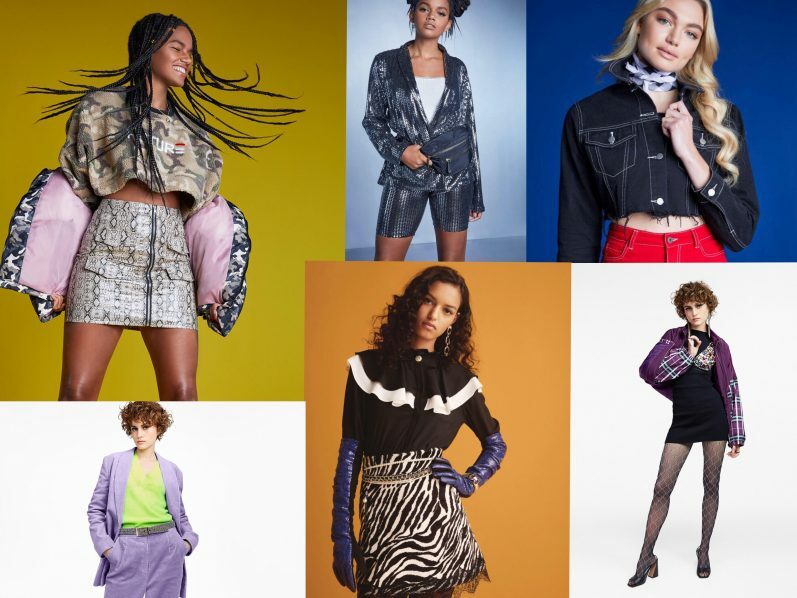 The brand’s stellar partywear line is Electric Nights – high-octane colors, statement-making fabrics plus ongoing 80’s themes. There’s sparkling tuxedo dresses aplenty with blazer and cycling short co-ords giving an edgy new direction. The body-con dress and jumpsuit is revamped in high-shine PVC or bright animal prints. Clash on in the Bijou trend, combining animal-skin effects with mismatched opulent prints. Get luxe in floral jacquards, which are kept modern thanks to aviator jacket and tracksuit silhouettes. Overall a feminine approach, fishnets, leather gloves and patent boots lend subversive punk attitude. Throwing it back to the 1980s is nothing new but the message remains in full force for AW18/19 partywear. 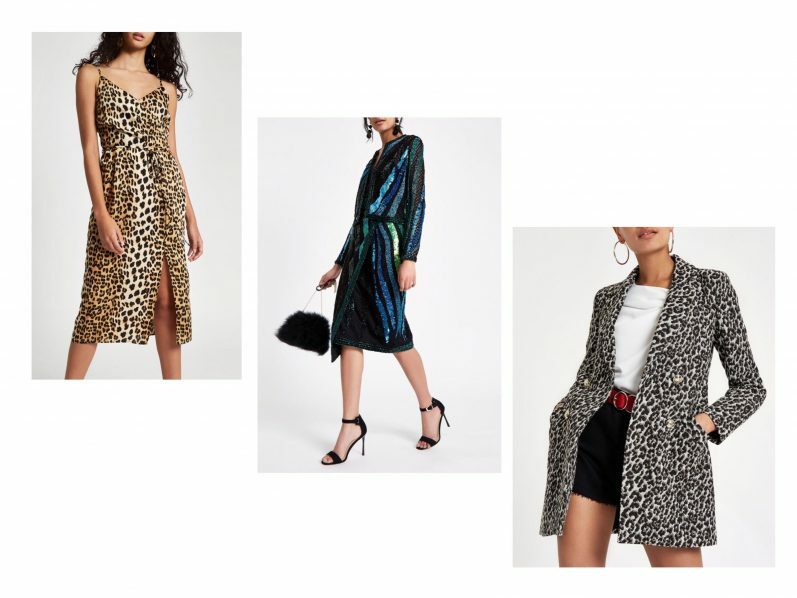 Invest in encrusted tuxedos and strong-shouldered shift dresses, all the more attention-grabbing in bold animal prints. 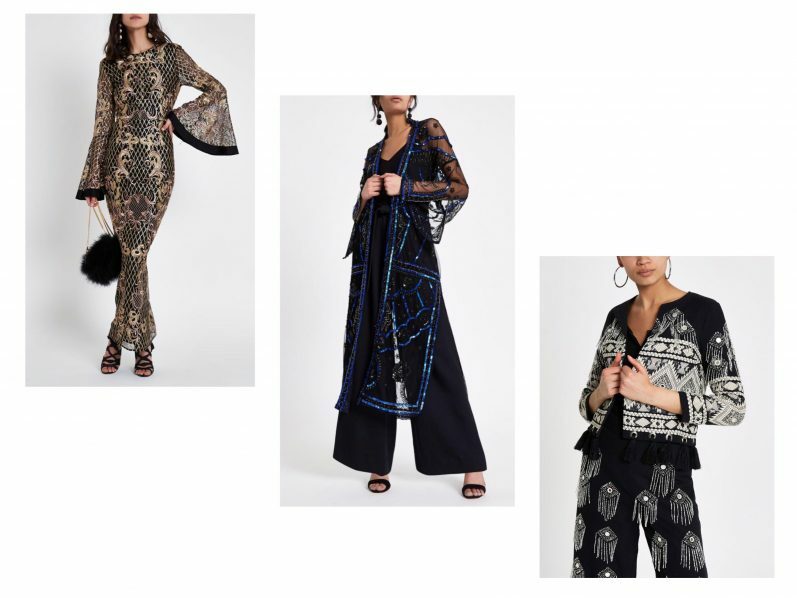 The focus is definitely clashing print stories but you’ll see asymmetric hemlines offer the fashion twist on these party-time staples. Style with statement hosiery and a leather baker boy cap. Like what you see? 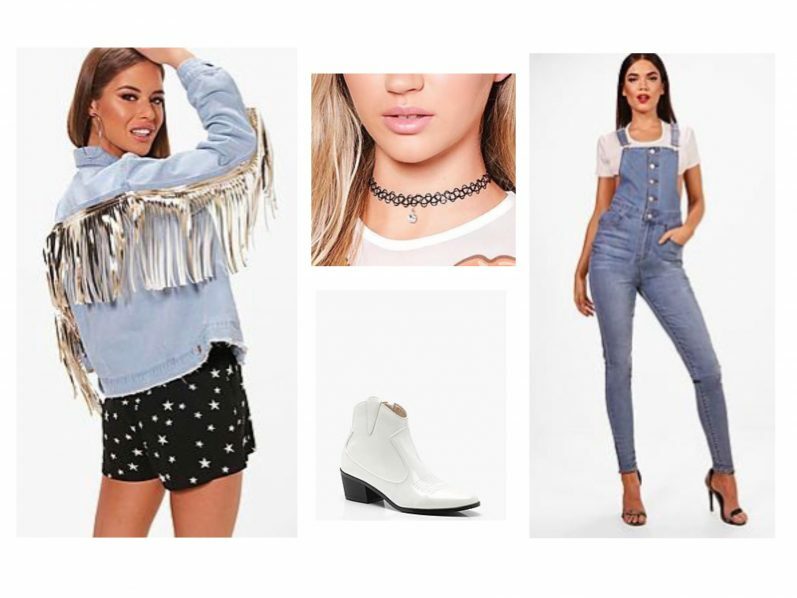 Shop this (and more!) in your size on our app. Log in to your profile – or create one – and select your preferred brands. Then enter a personalized boutique, home to your favorite collections in your recommended size. You can use our handy filters to select the garment type and your preferred price range. Plus, sale pieces and new arrivals will land on the homepage so you never miss out!